Metal pole barns are constructed of corrugated steel. While the steel panels are likely to be galvanized for rust-protection, rust can creep in around fasteners or where the galvanized coating had been compromised or worn off. 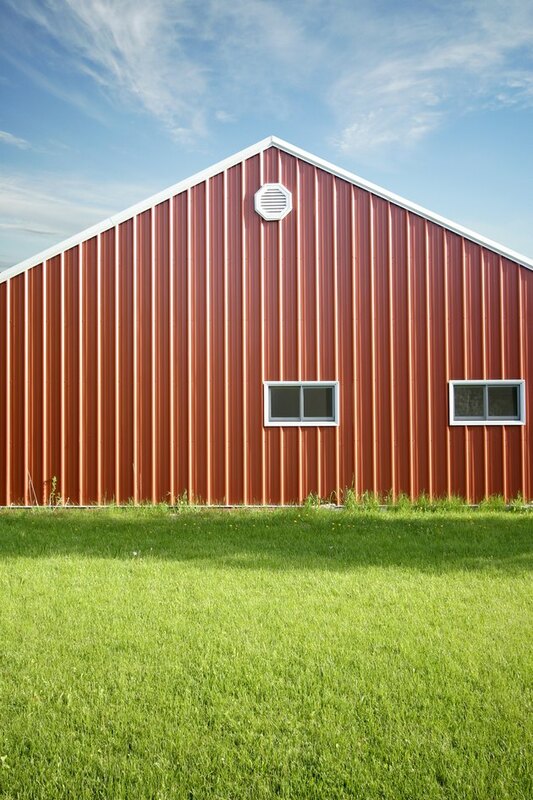 Therefore, painting your barn not only adds beauty, it also helps prevent rust. You can choose any color, and even paint the pole barn to match your home -- but don't rush out and purchase just any brand of paint. All paint is not equal, and you must take specific steps so the paint will properly adhere to the surface and last for years. Choose the right paint for your metal pole barn. Place a roll of painter's paper and 1-inch masking tape on the paper and tape dispenser. A paper and tape dispenser is a convenient tool that applies tape to one edge of the paper as you pull out and the paper for masking. 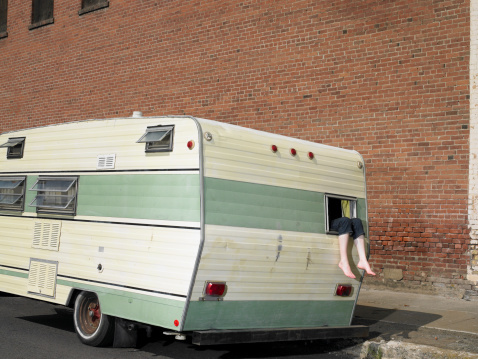 Cover all windows, door knobs and exposed areas that will not be cleaned. Use TSP to wash all metal surfaces to be painted. TSP is technically known as trisodium phosphate, and is a strong cleaner that removes dirt and wax on metal. Put on safety goggles, fine-particle mask, long-sleeve shirt and rubber gloves. TSP can burn skin and irritate eyes; it can also irritate your lungs. Always take safety measures when working with chemicals of any kind. Combine 1 1/2 cups TSP for every 5 gallons of hot water. Insert the black tip on the power washer wand. The black tip provides enough pressure to clean without stripping the existing paint. Begin with the roof, and use the power washer with the TSP solution to thoroughly clean the pole barn in 8-foot-by-8-foot sections. Thoroughly rinse each washed section with the garden hose and spray nozzle. Allow your pole barn to completely dry before priming. Prime all surface areas to be painted with an acrylic direct-to-metal primer. Direct-to-metal primer is specifically designed to adhere to metal surfaces and provide a strong base for paint. Put on your safety goggles and a fine particle mask. Use your airless paint sprayer to prime all large surface areas. Work from the roof down. Spray a light, even coat -- enough to cover the metal. Do not spray a heavy coat of primer. Airless paint sprayers emit large volumes of primer and paint in a short period of time, and overspraying will cause the paint materials to run. Brush and roll all areas that cannot be accessed with the airless sprayer. Allow your pole barn to dry overnight. Paint all surface areas with a direct-to-metal paint using your airless paint sprayer. Direct-to-metal paint is designed to work with the primer. Follow the same procedures as you did with the primer to apply the paint to your pole barn. Allow the paint to completely dry before applying a second coat. Consult the manufacturer's instructions, because drying times vary according to brand. Remove the paper from covered windows and doorknobs.